I finally got around to watching the final episode of the Daily Show. 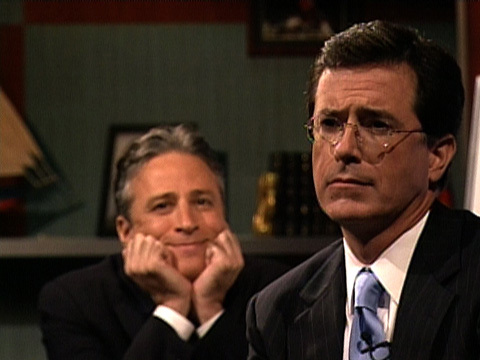 Towards the end you might remember Stephen Colbert saying he is 'Sam' to Jon Stewart's 'Frodo.' Stewart, being the weary man who had to traverse the shady political lands while avoiding ego and power ('the ring'), and Colbert, ('Sam'), came along for the ride. Stewart and Colbert have referenced Lord of the Rings often in their shows and that final 'Sam-Frodo' exchange brought it home for me. So, yeah I'm going to miss these guys. 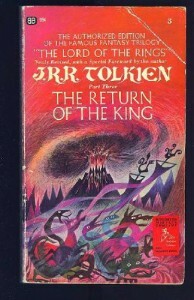 And I was also reminded of how amazing Tolkien was.